For consumers with good credit, car buying can be pleasant experience. They can shop around to find what they like and have finance companies falling all over them to offer a competitive rate. For most consumers, this is not the reality. A majority of car buyers looking to finance vehicles have fair to poor credit and when you’re a buyer struggling with credit challenges, car shopping can be an exercise in futility. If you have bad credit, fair credit or no credit, car buying doesn't have to make you want to pull your hair out. By following a few simple steps, you can make the process less stressful and be on your way to repairing your credit and get back on the road. Car buyers that struggle with credit are normally buying a car out of need, not want. Getting back and forth to work is crucial when money is tight. Be honest with yourself about your situation and realistic about your expectations. 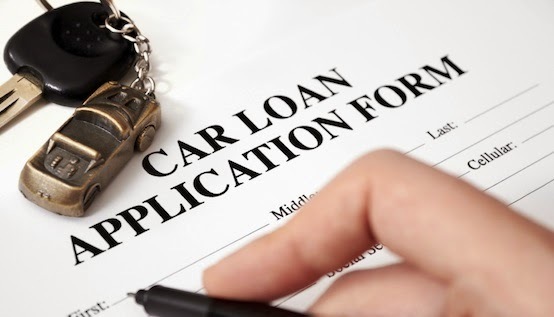 One important aspect that bad credit borrowers have to understand is that they may not be able to get the fully loaded newer model vehicle of their dreams. There are limits to the amount that a finance company will loan to a consumer with poor credit history. Remember… you need transportation this time around and you need to be able to afford your payments with a little wiggle room for the unexpected problems that happen from time to time. Make all of your payments on time, and you will be able to get your dream car on the next go around. Many consumers believe their credit is much worse than it really is. Items on your credit history may have dropped off or changed since the last time you got your score. Credit agencies do their best to reflect your current credit situation on your report and that information is constantly changing. Federal law requires all three reporting companies to provide consumers one free credit report each year if you request it. You can pull all three of your credit reports on their website for free at https://www.annualcreditreport.com/. Contrary to popular belief, pulling your own credit has no negative effect on your score. Pull yours and get an accurate picture of your credit situation. Your score is the main indicator that finance companies and dealerships use to get your interest rate. If after you've pulled your credit report you find there are items on it that can be corrected, do it! Small accounts can have a large affect on your score. Paying off or negotiating with creditors to remove negative accounts will have an immediate effect on your credit and open possibilities for a better loan and interest rate. How much can you afford to pay each month? Experts say your car payment should be no more than 20% of your net income. Use a loan calculator to determine how much a vehicle you can afford. Its likely that a consumer with bad credit has real life experience with unexpected expenses. It is likely how the consumer’s credit was damaged in the first place. Being smart about making sure you can afford your monthly payment will avoid further costly credit damage and leave you some breathing room for when bad things happen. Down payments can make all the difference for buyers with credit challenges. Your approval and loan amount is going to hinge on how much you can come up with as a down payment. Having a trade-in with equity will suffice for a down payment but having cash to put with it is always better. Put as much as you can down without straining your budget to the limit. Once you have determined how much you can afford, find a car that fits within your budget. Again, be realistic with your expectations. Shop around and find the best deal you can. 99% of dealers now list their inventory on the internet. Comparing cars and prices has never been easier. Borrowers with bad or no credit can expect to be required to prove everything. You will need proof of income and residence. Bring pay stubs, a bank statement and utility bills. It’s likely that you will be asked to provide references. If you have a trade, bring the title. If you owe money on the trade, bring the information on your finance company and current loan. Having your documents ready will speed up the process and make it easier for lenders and dealerships to get you an approval. Getting an auto loan with bad credit can be difficult. Consumers that are prepared and realistic will have a much easier time and a better chance at securing an approval. At our dealership, we have been helping customers with credit problems secure auto loans for quality vehicles for over twenty years. If you’re looking to get an auto loan, apply on our website. We offer no credit and bad credit auto loans and Buy Here Pay Here guaranteed financing with no credit check.